Plans have been approved for a large scale speculative development at Templeborough, a year after initial plans were refused by Rotherham Council. 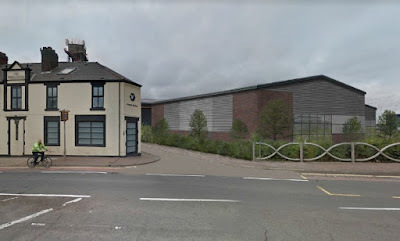 A planning application was resubmitted last year to enable new commercial units to come forward on remaining plots at the popular Magna 34 site. The first phase of works at the £31m Business Park were completed in 2008 where Sheffield-based joint venture partners, Loxley Land and Property and Jaguar Estates, predicted it would eventually create around 600 jobs for the region. The 19 acre park located off Junction 34 of the M1 is on the historic site of the former steelworks, and before that, a Roman fort. 10,000 sq ft of office and industrial space is currently home to the likes of HS Atec, Grayson Fixings and Sortec Software Development. The massive 152,421 sq ft distribution unit, empty since completion in 2008 was taken by Parcelforce in 2014. The latest plans, drawn up by Self Architects for Jaguar Estates, are for three terraced business units and two single units, totalling 38,000 sq ft. The development plots at Magna 34 are allocated within the Sheffield Enterprise Zone which offers business rates relief worth up to £275,000 to a business over a five-year period. 2016 plans for the site were refused by the planning board in February 2017. The planners consider the site to be on a key gateway into the town and the decision for refusal showed that planners were unhappy with the their design and siting facing Sheffield Road, stating that it would "represent a poor form of development that fails to take the opportunities available for improving the character and quality of the area." The updated plans went to planning board last week and members voted unanimously to approve the application. Nigel Hancock, assistant planning manager at Rotherham Council, explained: "We had no issue with the principle of the development but we were concerned that the buildings that were being proposed were not suitable for what we consider to be a gateway site into the town. It didn't reflect the quality of the buildings that have been erected in the immediate vicinity over the last few years. "We were concerned that the last proposal would have been a backward step in the regeneration of the area, despite the jobs it would create, and we were seeking to get better quality development on what we consider to be a prominent site." The design of the buildings facing Sheffield Road have been updated. Before, they were just designed as industrial sheds with no architectural merit. The new design is still for industrial sheds but it does now include an element of brickwork, different types of cladding materials and glazing panels to the side.